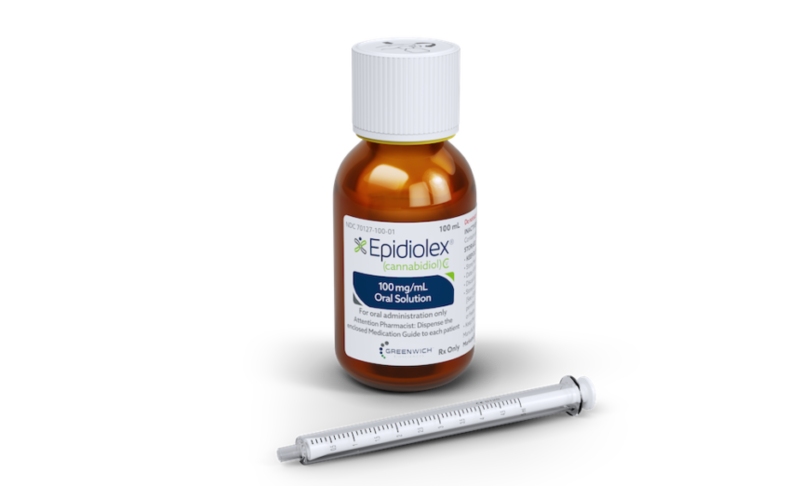 In June, Epidiolex was approved by the FDA to treat Lennox-Gastaut syndrome and Dravet syndrome, two rare forms of childhood-onset epilepsy. Despite this greenlight from the agency, GW, its manufacturer, couldn’t legally sell the drug. Epidiolex is derived from CBD, and CBD was, and still is, a schedule 1 substance. Along with heroin, LSD, and ecstasy, cannabis (and all its component parts) is defined by the federal government as a drug with no currently accepted medical use and a high potential for abuse. In September, the Drug Enforcement Agency reclassified Epidiolex as a schedule 5 substance — a change that applied to just the drug itself, not, as some hoped, CBD or even cannabis as a whole — paving the way for GW to begin selling the drug. The company plans to start doing so in the next couple of weeks, listing the drug at $32,500 for a year’s supply (although deals GW has struck with payers including Medicaid mean insured patients will pay far less). With the rollout imminent, MM&M caught up with GW’s CEO, Justin Gover, for more details on what the company’s marketing strategy will look like, both for patients and providers. He shared details on messaging, marketing mix, agency roster, and more. Direct-to-consumer marketing will be comprised of digital and social campaigns (no television), said Gover. Lennox-Gastaut syndrome and Dravet syndrome are rare conditions; together, they affect less than 60,000 children and adults in the U.S.
As a result, the company does not plan to run television ads. “A blanket large scale DTC campaign would not be appropriate for this patient population,” Gover noted. Instead, GW is working with the agency 21Grams to develop digital and social marketing for patients and caregivers, such as the unbranded page, takeonepilepsy.com. The site’s goal is not straightforward disease awareness — the condition is fairly well understood — but to be a resource for those living with or caring for someone who has the disease. The company is also in the process of developing a Facebook page where patients and caregivers can connect, and has partnered with a number of advocacy groups, including the Dravet Syndrome Foundation, the Lennox-Gastaut Syndrome Foundation, and the Epilepsy Foundation. To reach providers, the focus is on education. Working with AbelsonTaylor and The Bloc, GW launched an unbranded site for health care providers, and is running ads in a number of neurology journals. The aim is to ensure physicians understand the drug’s safety and efficacy profile, and don’t lump it in with the growing sea of cannabis and CBD-products, the vast majority of which aren’t supported by rigorous scientific research. “Not only is [Epidiolex] a new type of anti-epileptic drug, but it’s an anti-epileptic drug where there is some potential confusion to what it is and what it’s not,” Gover says. Messaging to providers puts the emphasis on Epidiolex’s FDA-approved bonafides, refusing to let them be overshadowed by the drug’s (admittedly precedent-setting) CBD component.